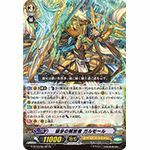 [ACT](VC) Limit Break 4:[Counter Blast (3)-card with "Liberator" in its card name] Look at the top card of your deck, search for up to one <<Gold Paladin>> from among them, call it to an open (RC), and put the rest on the bottom of your deck. If you called, and you have an open (RC), repeat this effect without paying the cost. 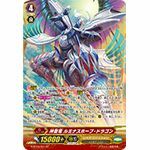 [AUTO](VC):[Choose a rear-guard with "Liberator" in its card name, and put it on the bottom of your deck] When this unit attacks a vanguard, you may pay the cost. 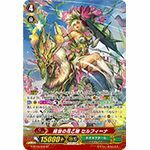 If you do, this unit gets [Power]+4000 until end of that battle. [AUTO]:[Choose a <<Nova Grappler>> from your hand, and discard it] When this unit is placed on (GC), you may pay the cost. If you do, choose one of your <<Nova Grappler>> that is being attacked, and that unit cannot be hit until end of that battle. 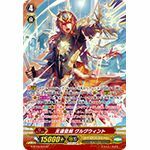 [ACT](VC)[1/Turn]:[Choose a face down card from your G zone, and turn it face up] Until end of turn, for each face up "Holy Dragon, Luminous Hope Dragon" in your G zone, this unit gets [Power]+10000, and all of your rear-guards with the brave ability get [Power]+1000. 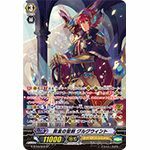 [AUTO](VC) Brave:When this unit attacks, if the number of face up cards with the brave ability in your G zone is two or more, search your deck for up to one grade 2 card, call it to (RC), and then, if it is three or more, this unit gets [Critical]+1. Shuffle your deck. 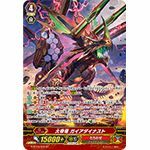 [ACT](VC)[1/Turn] Generation Break 2:[Choose a card from your drop zone, and put it on the bottom of your deck] Reveal six cards from the top of your deck, choose the same number of your units as the number of revealed <High Beast>, until end of turn, they get [Power]+4000, and if you chose four or more units, this unit gets [Critical]+1. Shuffle your deck. 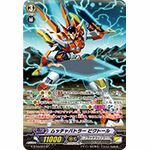 [ACT](VC):[Counter Blast (1) & Soul Blast (1)] If you have a heart card with "Garmore" in its card name, look at three cards from the top of your deck, call a card to (RC) from among them, and shuffle your deck. 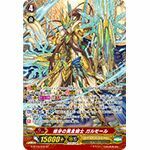 [CONT]:This card is also a <<Royal Paladin>>. [ACT](VC)[1/Turn]:[Counter Blast (1) & Choose a face down card named "Holy Sword of Heavenly Law, Gurguit" from your G zone, and turn it face up & Choose a card from your hand, and discard it] Until end of turn, this unit gets "[AUTO](VC) Unite:When this unit attacks, look at seven cards from the top of your deck, call a card to (RC) from among them, and shuffle your deck." 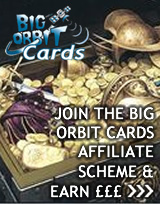 and "[CONT](VC):All of your units get [Power]+2000 for each face up card with "Gurguit" in its card name in your G zone.". [CONT](VC) Generation Break 2 Unite (Active if you have called two or more units to (RC) or (GC) during this turn):All of your rear-guards get "Intercept" and "[CONT](RC):This unit can intercept from the back row during the battle that your vanguard was attacked.". [AUTO](VC):[Counter Blast (1) & Soul Blast (1)] During your turn, when your G unit Stride, you may pay the cost. If you do, look at four cards from the top of your deck, call a card to (RC) from among them, shuffle your deck, if you called a unit with the unite ability, look at the top card of your deck, and call it to (RC) as [Rest]. 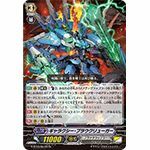 [AUTO](VC) Generation Break 3:When this unit retires one of your rear-guards, you may pay Counter Blast (1). 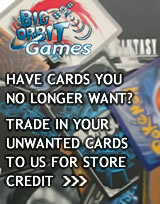 If you do, call that card to (RC), that unit and this unit get [Power]+3000 until end of turn. 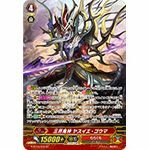 [AUTO](VC):[Choose a face down card named "Great Emperor Dragon, Gaia Dynast" from your G zone, and turn it face up] When this unit becomes engorged, you may pay the cost. If you do, choose one of your rear-guards, retire all of the rear-guards in the same column as that unit, and Counter Charge (1). 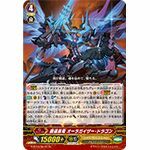 Shadowstitch-[AUTO](VC):At the end of the battle that your unit attacked a vanguard, if that attack did not hit, draw a card, choose a card from your hand, and put it on the bottom of your deck. [AUTO](VC):During your turn, when your G unit Stride, choose one of your vanguards, and until end of turn, it gets "[AUTO](RC)[1/Turn]:[Soul Blast (1)] When this unit attacks a vanguard, you may pay the cost. If you do, choose one of your rear-guards with the rush ability, and [Stand] all of your rear-guards in the same column as that unit.". 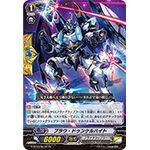 [ACT](VC)[1/Turn]:[Counter Blast (1) & Choose a face down card from your G zone, and turn it face up] Choose the same number of your rear-guards as the number of face up cards in your G zone, until end of turn, they get [Power]+2000, search your deck for up to the same number of cards with the same card name as those units as the number of face up cards named "Governing Flower Princess, Selfina" in your G zone, call them to separate (RC), shuffle your deck, and if two or more units were called, this unit gets [Critical]+1.